Apple Creates Massive Floral Window Installation at Selfridges to Promote Apple Watch. 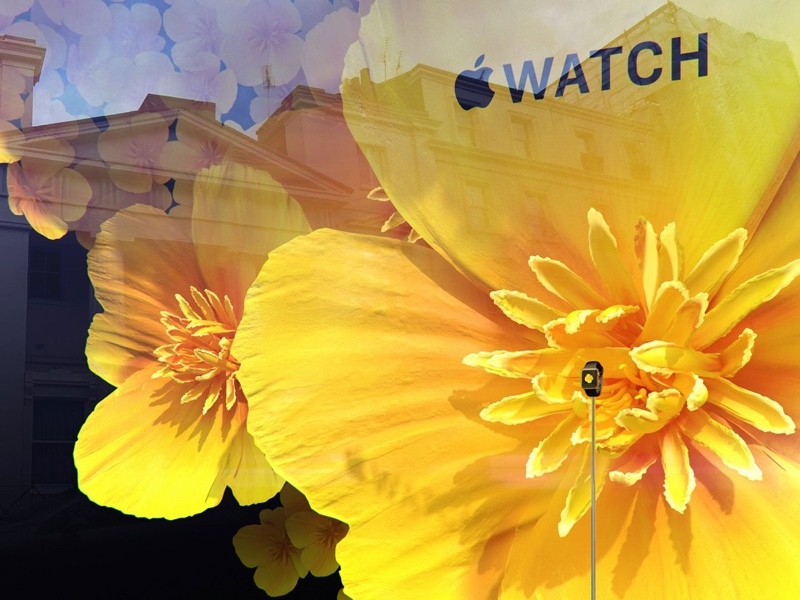 Apple today launched a new Apple Watch advertising effort in London, decorating the 24 windows of the Selfridges department store with a massive floral installation. 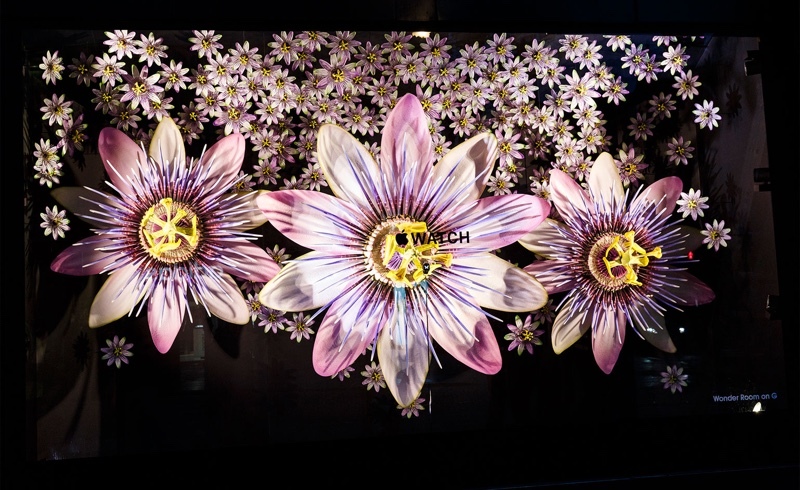 Each window has flowers that were inspired by the flowers that can be found within the “Motion” face on the Apple Watch. Design magazine Wallpaper has shared photos and details on the installation, which uses 3D flowers created through a range of methods from resin casting to 3D printing. Each window also displays an Apple Watch with a watch face that matches the flowers. Earlier this year, Apple Human Interface Chief Alan Dye explained the effort that went into each of Apple’s “Motion” watch faces. Apple shot all of the animated flower, butterfly, and jellyfish photos used in the watch face. For the flowers in particular, Apple shot photos as they bloomed, with one single flower taking 285 hours and more than 24,000 shots. For the window installation, artists created 24 large, 50 medium, 240 “small plus” and 5,525 small flowers, split across the aforementioned eight varieties. Paul Deneve, formerly the CEO of Yves Saint Laurent, had a hand in the window designs and gave a statement to Wallpaper. 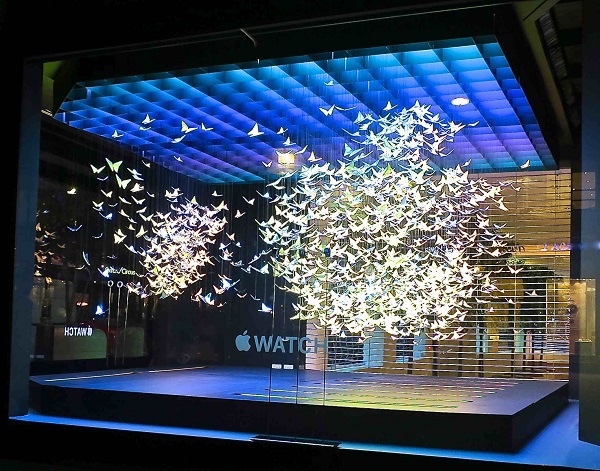 We are thrilled that the flowers of the Apple Watch face have inspired such a beautiful design and to see it come to life in this amazing installation, reflected in all 24 of Selfridges’ historic windows,’ says Paul Deneve, Apple’s vice president of special projects. Apple’s flower installation follows two other installations that have been used to decorate the Selfridges department store, including “Chromosphere,” which displayed the Apple Watch in colored orbs of light, and “Butterflies,” featuring a huge kaleidoscope of fluttering butterflies. Selfridges in London is the home of the iconic Wonder Room, a section of the department store that sells luxury jewelry and watches. The Apple Watch is sold from a pop-up shoplocated towards the entrance of the Wonder Room, with all models from Sport to Edition available for purchase. This entry was posted in Apple news and tagged apple store, Floral Window. Bookmark the permalink. iPhone 6c may be with you in time for Thanksgiving.